Schaumburg Watch MooN Meteor featuring genuine meteorite dial with luminescent photo-realistic moon phase, in a stainless steel case with transparent caseback on leather strap with folding clasp. 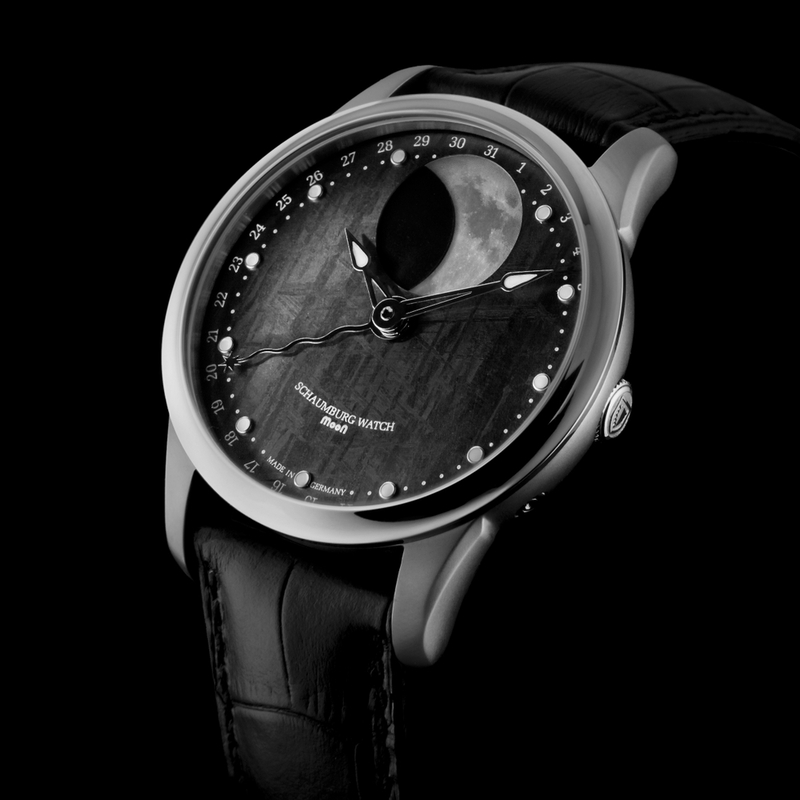 The Schaumburg Watch MooN Meteor features an extraordinary and strangely beautiful textured dial which has been created from a genuine piece of meteorite which must date back millions of years, perfectly complementing the stunning luminescent photo-realistic moon phase display. Chronolux Fine Watches are delighted to offer as Authorised Dealers and brand new in box, the other-worldly Schaumburg Watch MooN Meteor gents automatic watch.